There are a number of instances where No Pets Allowed signs are needed. A lot of us consider our pets as friends or even part of our family. We often want them around us as much as possible, so we try to bring them with us wherever we go. However, in some cases, having pets around can be a problem, such as in a busy office building or a restaurant. In these scenarios where people or the pets could get hurt or might need to be denied entry to protect others from possible allergic reactions, it might be wise for the proprietors to put signs such as these up. Having pets around in work areas can be distracting or worse, cause safety issues that may end up in someone getting hurt. No Pets Allowed signs can help keep both people and pets safe if posted properly. At Seton, we’re all about safety. This concern with safety extends to our pets which, more often than not, have become as close to us as family. 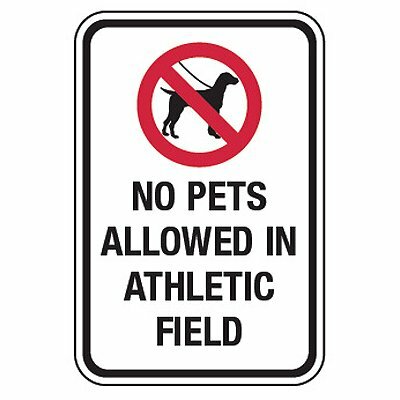 With that in mind, we present you with No Pets Allowed signs for use in your facilities. By restricting pets in busy areas of the workplace we prevent any mishaps, involving either humans or animals or both, from occurring. In addition, this also prevents any awkward situations that may occur such as allergic reactions and even clean room contamination. It is ideal that these signs be placed in entry ways and other highly visible areas such as lobbies or landing areas. It might also be advisable to place these signs in hallways as well as in office spaces to remind people that this might not be the best, or more particularly, safest place for their pets. 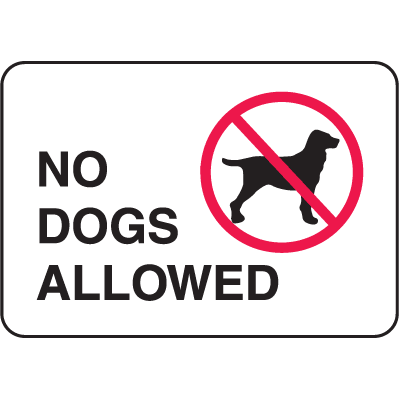 Another thing you might want to consider is getting No Pets Allowed signs with graphics on them to help non-native English speakers who have a loose grasp on the language understand that pets are not allowed. Finally, be sure that the signs can easily be referenced by staff so that visitors bringing their pets will know from the get-go that pets are not allowed in you facility, thus avoiding potential confrontation.